Draw attention with minimal effort with these 15 ft. tall giant custom flags! 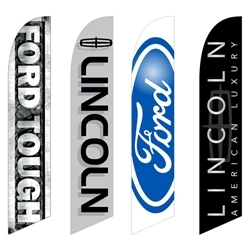 Great for the front line or highlighting any vehicle, these flags flutter and flap with a slight breeze. This is a customized product. Our representative will get with you on the status of shipping date after the confirmation of the order.